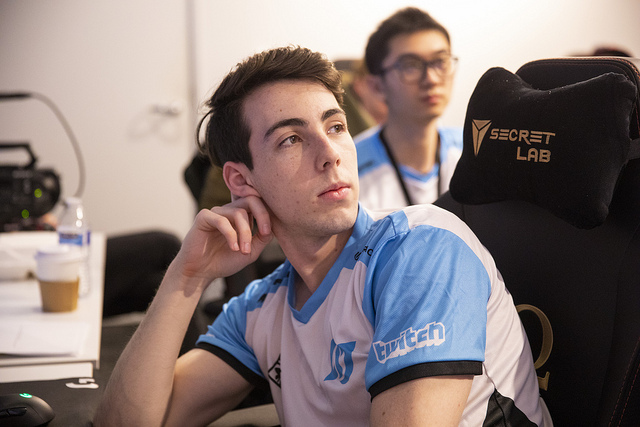 CLG Stixxay: "I expected Wiggily to be a Giga-Chad, but he's actually super selfless." 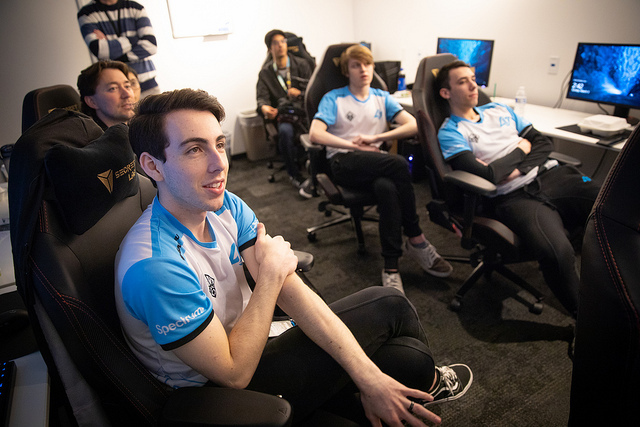 Counter Logic Gaming's win over FlyQuest in Week 6, Day 1 of the 2019 LCS Spring Split was a textbook example of a win done right. In a weekend highlighted by late game throws and back and forth fiestas, CLG closed out the game in 28 crisp minutes to move to 5-6 in a tie for 4th place. CLG stuck to what has been working for it all season to crack the FlyQuest nexus. Raymond "Wiggily" Griffin focused the majority of his jungle pressure towards Top Laner Darshan "Darshan" Upadhyaya. 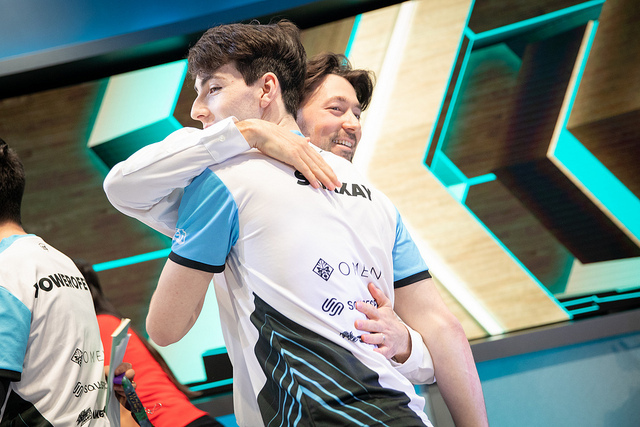 Tristan "PowerOfEvil" Schrage continued to impress individually, putting together a strong performance on Zoe while the Bot Lane of Trevor "Stixxay" Hayes and Vincent "Biofrost" Wang remained stalwart, absorbing FlyQuest's pressure while CLG continued to push its lead. 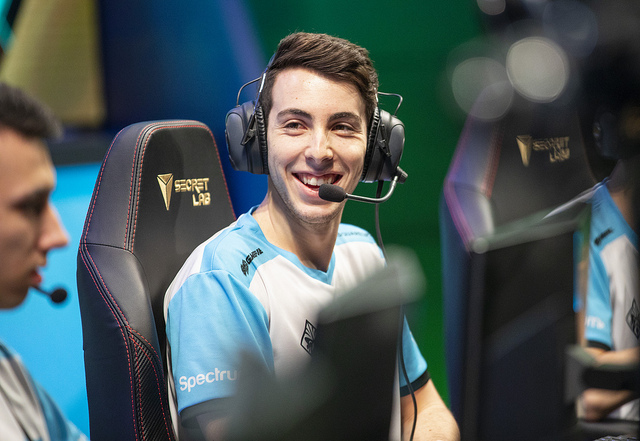 Fresh off of the rift with a victory, Stixxay sat down with Inven Global to talk about CLG's new coaching staff, his relationship with Wiggily, and CLG's adjustments down the stretch. 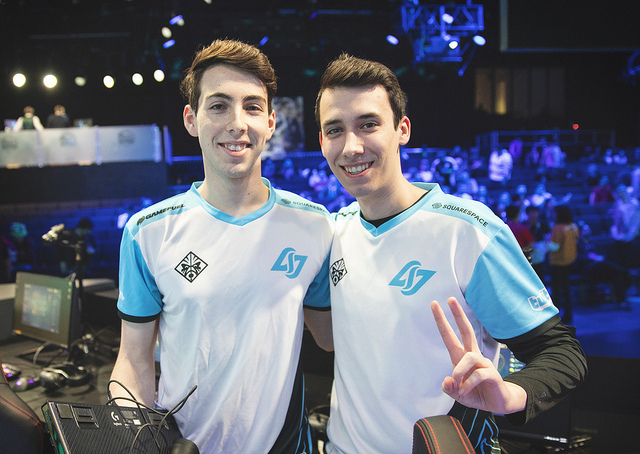 Stixxay, congratulations on the win. Can you tell me about CLG's game plan and how you feel you executed upon that plan? Going in, we knew that V1per is a Riven player and had won his past two games on Riven. We also saw Santorin playing a lot of Riven in solo queue, so we instantly knew they were trying to use it as a flex pick. Because of this, we held the last pick for our Top Lane so Darshan would know what matchup he was having to play. Earlier, I was watching the Clutch Gaming vs.100 Thieves match where Clutch had a huge lead and wasn't able to snowball the game and didn't know how to end. I said to my team, "If this is us, the game's over." When we get a lead like that, we're really good at knowing how to close out the game around the map. Against Flyquest, we felt pretty confident after the early kills and the early leads we got from them. When you have the type of advantage on the top side that Darshan did over V1per, how does it change the way Bot Lane plays? If we get an advantage top side, that means the enemy jungler can't really go there to get anything done. There is only one place for him to go, and that's Bot. We knew that we'd be on the defensive side, so we just had to get the correct vision and make sure that we weren't dive-able. It's a situation we're pretty comfortable playing in because we tend to give a lot of resources to Top Lane. I also think that on top of Darshan doing well, a lot of our top side success is due to Wiggily. He's a very, very selfless player who we will almost have to tell to play for himself sometimes because he is giving the team too much. Darshan is very vocal about how he wants to direct his Jungler, and Wiggily is very new and willing to learn how to play towards that really well. Darshan's getting these huge leads because he's telling Wiggily what he wants him to do and Wiggily is like, "Ok, I'll do that." How would you describe Wiggily's identity as a Jungler as he develops? Wiggily was on CLG Academy last summer, it was essentially "The Wiggily Show", so when he joined our team, we weren't sure if we wanted to play that style. We have very vocal laners in regards to what we want to do, so in the beginning, we were having a lot of problems because there were so many options for Wiggily. He would get called everywhere and fall massively behind individually, so we had to start making sure he knows that he has to choose what he can and cannot do in game. I expected Wiggily to be a Giga-Chad, but he's actually super selfless. Before I played with him, I thought this guy would just walk into the enemy jungle and take all of the camps. He's super selfless and willing to play for whatever the team wants to do, and that's really different for me. It's been working. You also made your debut on CLG surrounded by a team of veterans. Do you relate to Wiggily's situation, and are you able to give him any perspective? Definitely, I can relate to Ray a lot. Personality-wise, we're very similar, especially when comparing him to me during my earlier years in terms of how we react to things. It's really easy for me to understand why he's doing the things he is doing, but I honestly can't imagine being in his shoes. Wiggily essentially came into our team and has taken over the coordination of the whole early-to-mid game. I can't imagine being a rookie, coming into LCS to play against all of these veterans, and also being able to do that. He's getting better with each week, and hopefully by the end of the split, we'll have it down to a tee. For now, we're trying to get as much out of practice as we can every week. How do you guys decide who calls the shots once you get to the mid game? I don't think there's any specific hierarchy, but there's a bit of input from everyone. For example, Wiggily usually runs the early game and the early phases of the mid game. He'll do all of the planning for the early stuff in coordination with our laners, and everything after that can depend on the game. If someone has a lead, they may be doing more or calling for more. In our game today vs. FlyQuest, everyone was doing pretty well. No one was necessarily behind, so everyone was giving input on what we should do and then agreeing on a plan quickly. This is the first time in your career you've played with a Mid Laner that is not Choi "HuHi" Jae-hyun, and PowerOfEvil couldn't me more stylistically different. Has that been an adjustment for you and the other long-term members of the team? It's insanely different. We always joke about this, but he's always taking my Support from me and I'm just left alone Bot and I'm like, "...okay." PowerOfEvil is really good. He's not a super vocal person, but he knows how to get leads and what to do with them. If he has just a little bit of direction in the game, he's the type of player that can take it over completely. How has your new coaching staff helped you grow thus far? Weldon works on all of the out-of-game stuff - psychological aspects, how we should be thinking as competitors, competitive approach, etc. Irean focuses strictly on strategic aspects, like which mistakes we make in game and how we can fix them. I would say the biggest thing for me is working with Weldon. It's been really nice to have someone to go to and say, "Hey, I'm thinking all of these things. Is this normal?" And he's just like, "Yeah, that's completely normal. You should feel like that." Weldon's very open to talking about anything you have to talk about, and he's also open to change. If you have any criticisms for him or of what he's doing, you can tell him and he will actually listen and work on it. You and Biofrost played much better today than the previous weekend. Was there something you adjusted in practice this week? For me, personally, a lot of my problems came from my pre-game preparation. It sounds kind of funny, but I think I was eating too much before the game, so I had a hard time focusing. It led to me being sluggish compared to how I feel when I normally compete. I only ate a granola bar before the game today. Riot keeps having really good food before the games and it keeps baiting me, but I need to slow down so I can make sure I'm focusing on the game. I felt pretty bad about last weekend, so I put a lot of work in this week to make sure I can be consistent and never have that type of game happen again. It my three years of playing, I've never lost a game like the TSM game in my life. I don't think I've even lost a game in practice like that before, but it was an eye-opening experience. It made me realize that I need to focus on being more focused in game, whether that be through pre-game preparation or things I'm thinking about. In a best-of-1 format, how you prepare beforehand is such an important factor, so I expect you'll be eating another granola bar tomorrow. CLG is now sitting at 5-6 and tied for 4th place. How are you feeling about playoffs? We're 1-1 vs. C9, we got smacked by TSM, and we play Liquid tomorrow. We can beat those teams on any given day and vice-versa, but I think our overall goal is just playoffs. I don't think we're the #1 team in the league right now or anything. C9 and TL are definitely better right now, but with the way our team improves and with our coaching staff, I think we can be the best team by the end of the split. Last year was a down year for CLG when the team failed to make playoffs all-together. Do you think this team is already further along than 2018 CLG at this point last year? By far, we are much further along. It's funny, when you're in the moment, like I was last year on the team, I couldn't figure out what was going wrong and why we weren't progressing. But in hindsight, I look back and I'm just like, "Holy ****, we were so bad and I understand why." Our players are very open. As I said before, I've been really impressed with Wiggily for being super selfless and open. He takes in so much feedback and deal with it really well mentally. He doesn't take anything too personally, and he still has confidence in himself, so that's really important as well. Is there anything specific that held last year's CLG back that this squad has been able to work through or approach differently? I don't think there was anything in particular holding us back last year, but we didn't know how to progress. We got to a point and did not know what to do past that point as a team. We were just kind of stuck, not just in-game, but in general. In the moment, it was very difficult to realize what is going on. Our coaches didn't realize what was going on, and our plays didn't either, or else it would have been fixed. We were trying our hardest, but it was the same 0-2 week after week. It can be demoralizing, but in hindsight, I can see why we were failing. Well, it's good that things are going better this year thus far. Thanks again for the interview, is there anything you'd like to say to the CLG fans after your win? Thank you guys for all the support. I know our games have been pretty rough...I was joking with Weldon like, "This is why our fans hate us, because they never know what to expect!" We're either in a nail-biter or playing a perfect game; it's always 50/50 with us. That being said, we're definitely working on improving our consistency and being a better team overall, so thank you for your support.